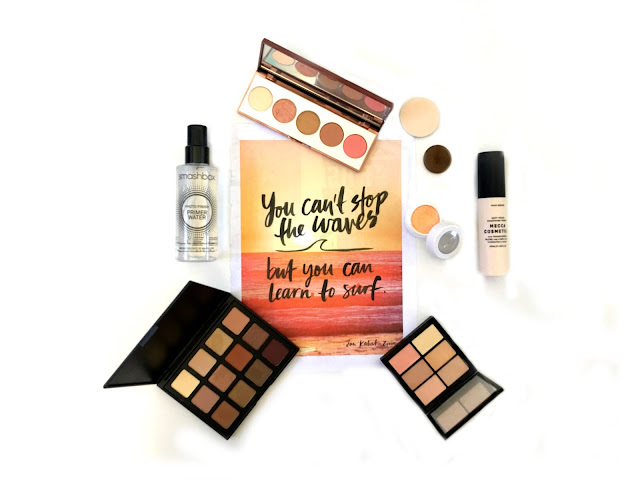 This month has rolled around pretty quickly, and there was no shortage of new beauty releases. 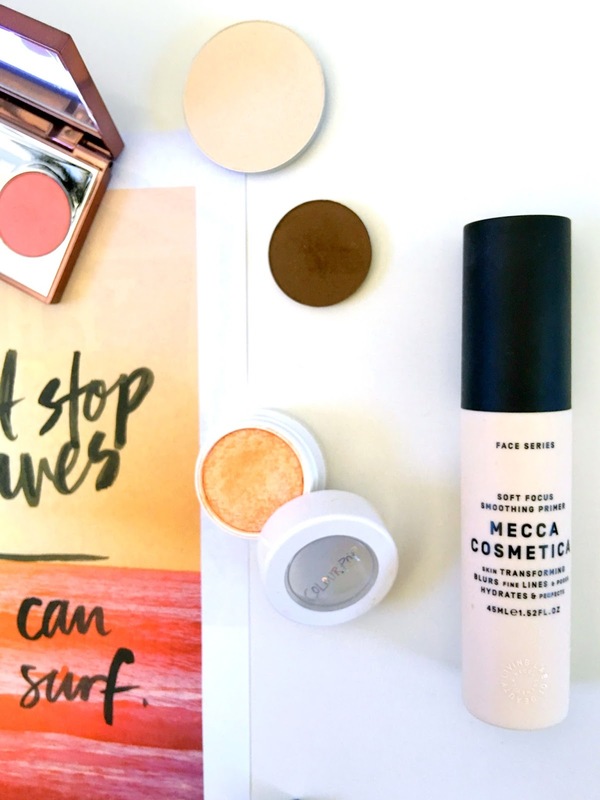 My favourites this month highlight all of the relatively new products in my life that I couldn't put down over the past few weeks. 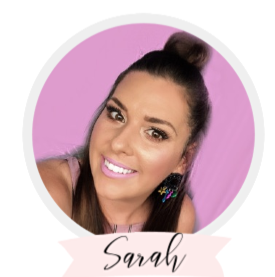 As you can see, I have been obsessed with warm tones and have dabbled in peaches, golds and coppers which just seemed to match the warm weather here in Brisbane. Lately, I have been going for long-lasting, full coverage foundation looks, minimal eyes and lots of glow. Keep on reading to find out more about the products pictured above and why I have been enjoying them. I got this after seeing so many positive reviews of this palette, as well as succumbing to the longstanding hype around the shimmering skin perfectors. I think Tahana Lee finally tipped me over the edge when she purchased this palette and told me that I needed it. The only one that I already owned in my collection was Champagne Pop, so I thought this was actually great value to try three of the shimmering skin perfectors as well as two mineral blushes. 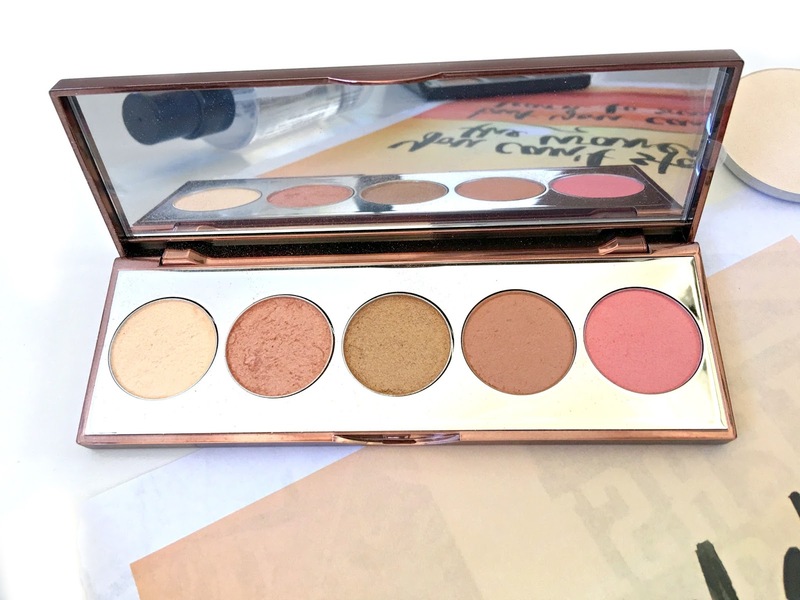 The shades included are moonstone, rose gold, topaz, wild honey and flowerchild. I honestly am unsure of which are my favourites. I love them all and they layer beautifully. Moonstone is a gorgeous highlight shade and I have been obsessed with rose gold as a blush/highlight combo. 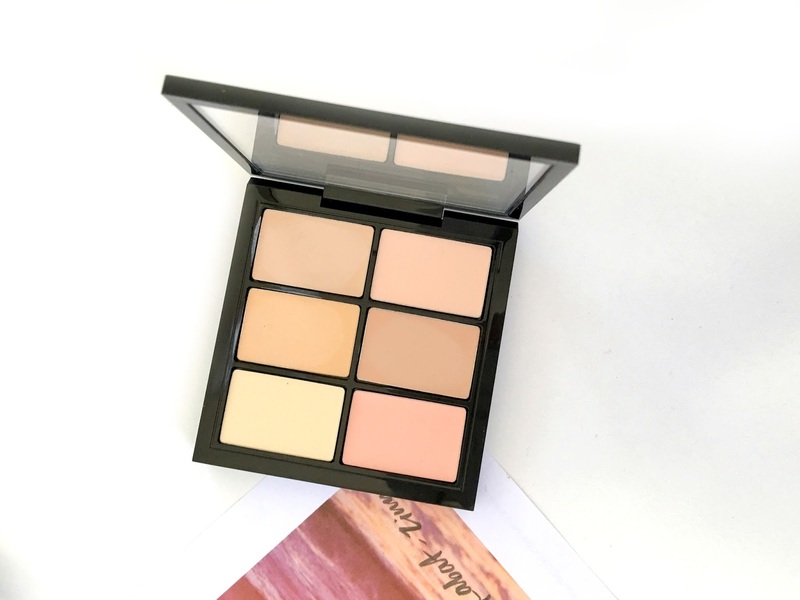 This blush palette is so light and portable but packs a punch. Pigmented, great longevity and blend out very easily. YES. I have wanted this palette for ages and when I was nearby a MAC Pro store a few weeks ago, I treated myself to this bad boy. Great for working with clients and doing freelance, and also a great addition to any beauty lover's makeup bag because it can correct, conceal and brighten all in one convenient palette. The shades included are NC15, NW10, NC20, NW20 and two studio finish corrector shades in pale yellow and pale pink. The formula of these concealers is creamy and long-lasting but you really need to warm them up with your fingers before applying. Great for covering up dark circles and redness. 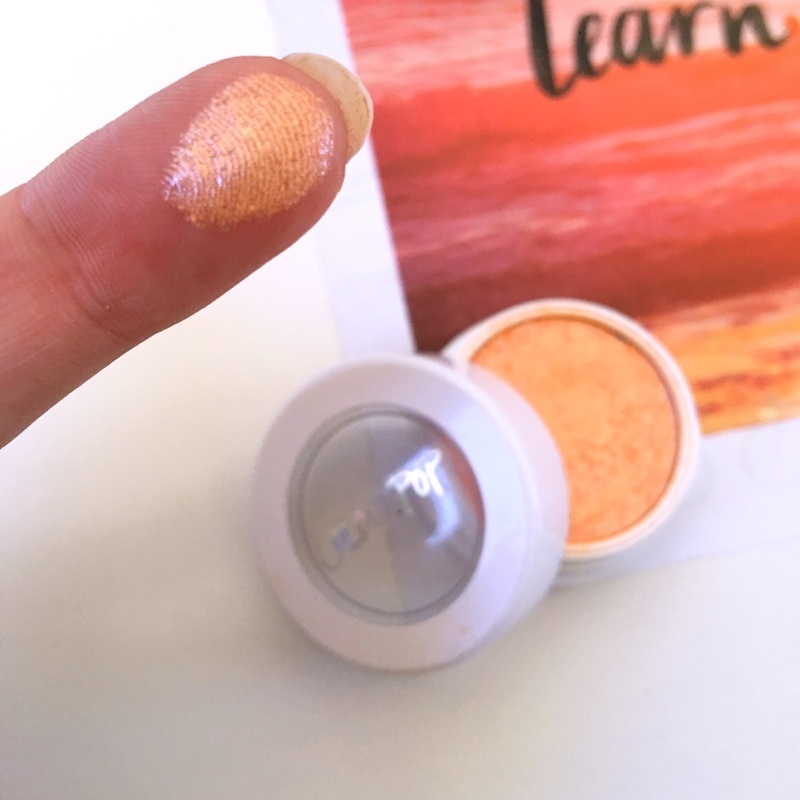 Ever since I hit pan on my favourite single shadow Too Soon from ColourPop, which is no longer available, I was on the hunt for something similar that can be swept on the lids for a beautiful, easy and quick eyeshadow look. I think I have found something special with this shade Flipper, which is a gorgeous muted tangerine with silver and pink glitter that is very fine. It has a gorgeous metallic finish and looks amazing worn alone on the lids, or layered with something a little deeper in the crease. I originally picked up this palette after getting annoyed that the Morphe Brushes 35O was consistently sold out everywhere. 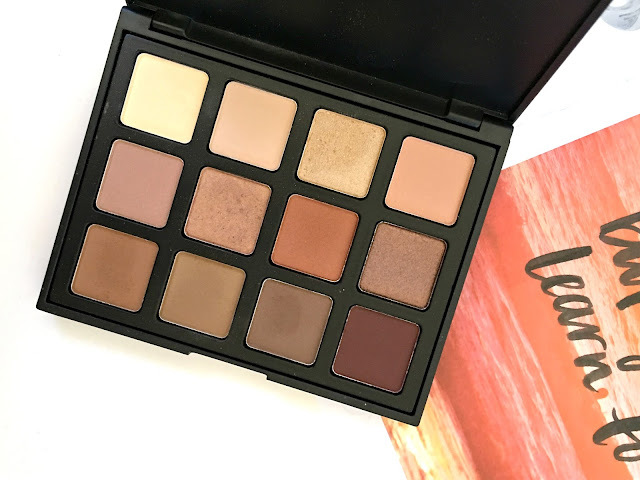 I had heard that this mini palette is like a condensed version of the 35O, containing 12 matte and shimmer shades that lean quite warm including browns, coppers, burgundys, peaches and orange shades. It hasn't disappointed. Ever since trying the Morphe Brushes Jaclyn Hill Favourites Palette, I have understood the hype around Morphe eyeshadows and find them to be pigmented, creamy and blendable. 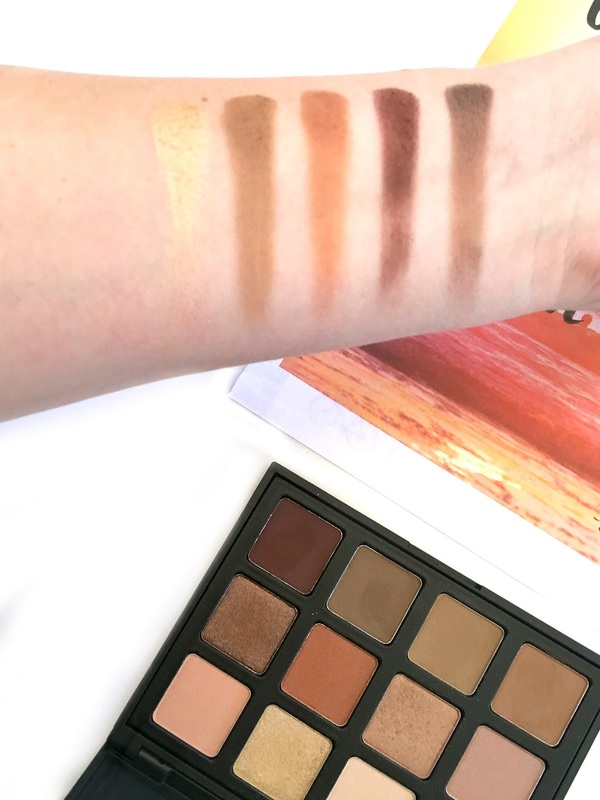 I found some of the shades in this palette did give a little fall out but the shade range is absolutely beautiful and creates a perfect everyday palette. 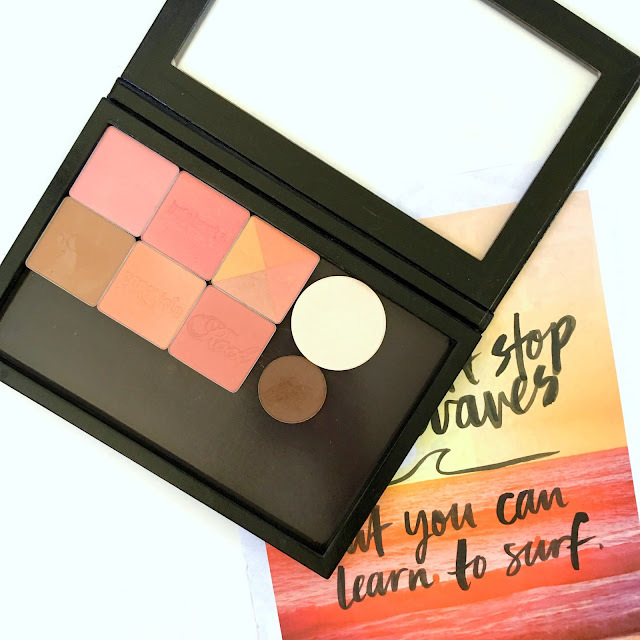 This palette is also much more travel-friendly and portable compared to the heavy 35O palette. I had heard a lot about this shaping powder through the beauty community, and it was suggested as a great undereye setting powder. These powders have a soft focus technology that is designed to blur lines and imperfections, similar to the Hourglass Ambient Lighting Powders. I have really enjoyed using this to set my undereye highlight and any other areas of my face that I'd like to brighten. This shade is an off white with a pearl finish. It isn't completely matte but has a glowy look. 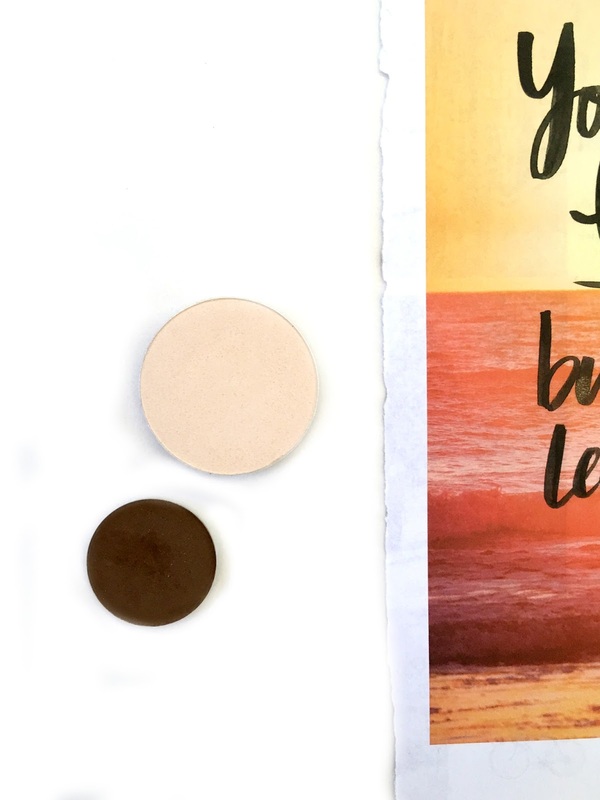 It is much more subtle than your everyday highlighter but not as flat as a regular setting powder. These come in a magnetic pro pan so I have popped mine into an existing Z Palette where I have some Benefit blushes depotted already. A super random purchase, after visiting my local Brazilian Beauty and getting my brows tinted, the lovely lady that was serving me suggested this brow kit from Christian Eyebrows, which was a brand I wasn't familiar with. The kit contains a brow powder which is said to be semi-permanent, some brow stencils and a dual-ended eyebrow brush. Unfortunately the packaging of the brow kit was very chunky and so inconvenient for the size of the product inside. I decided to depot the brow powder because I really have been loving it and it is a PERFECT match for my brows. It claims to last for 24 hrs, and I have comfortably worn the powder in my brows for 12+ hours and haven't had any issues. I have added the powder to my Z palette as well and it's way easier to use now. I don't really use brow stencils, and prefer to do mine free hand but the mini brow brush that it came with is quite good and I use it when I travel. This is a silicone-based primer that does not feel greasy on the skin and has a silky, creamy texture. It reminds me a lot of the Bare Minerals Brightening Foundation Primer which I also love. It definitely works well for me to improve the staying power of my foundations. I find it smooths over skin texture issues and blurs out visible pores and fine lines. 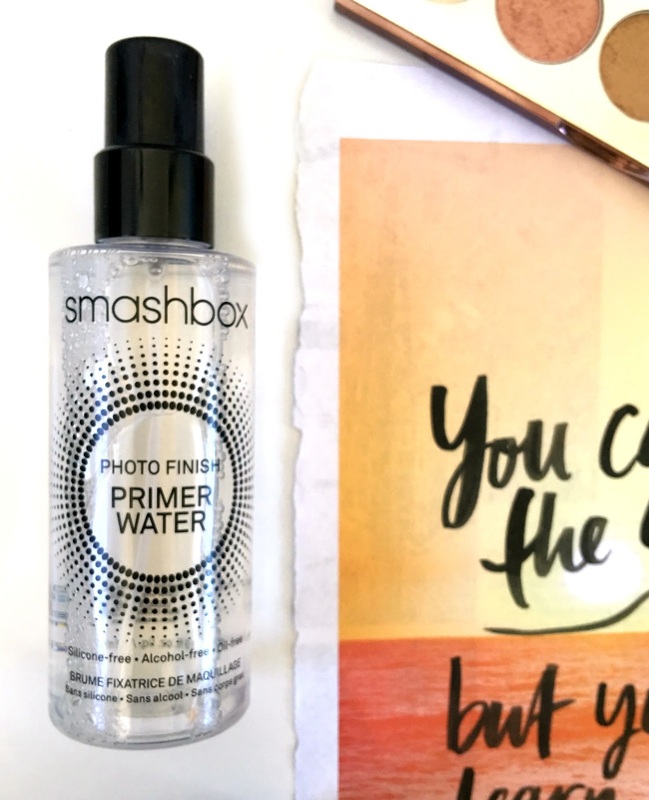 I like this primer because it still feels hydrating on the skin and contains hyaluronic acid to keep skin feeling plump. I think this is a pretty affordable high-end primer for $40 AUD and the 45ml of product will last you a while since you only need a small amount to cover over your entire face, or just your problem areas depending on your skintype. I probably didn't need another primer, or setting spray but this product really caught my eye because it seemed like a great multi-tasking product. I use this before I apply a regular primer, and also in between my foundation and blush/highlight products. I find it really adds a softness to the skin and helps to blend everything together. It can also be used to set your makeup and make it last longer throughout the day, however I don't really feel like it has made my makeup last any longer. I would probably stick to my regular setting sprays for this task. I prefer to use this before my makeup and between layers of foundation or cheek products. It smells really fresh and seems to me to be quite similar to MAC Fix+ Spray. It is silicone and alcohol free and I think it would even suit sensitive skin types. Well, those are all my beauty favourites over the past month! I will have a skincare favourites post coming up soon. 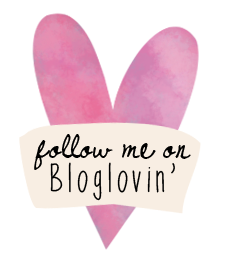 I wanted to create a separate post dedicated to skincare because I had too many products to include and talk about here. 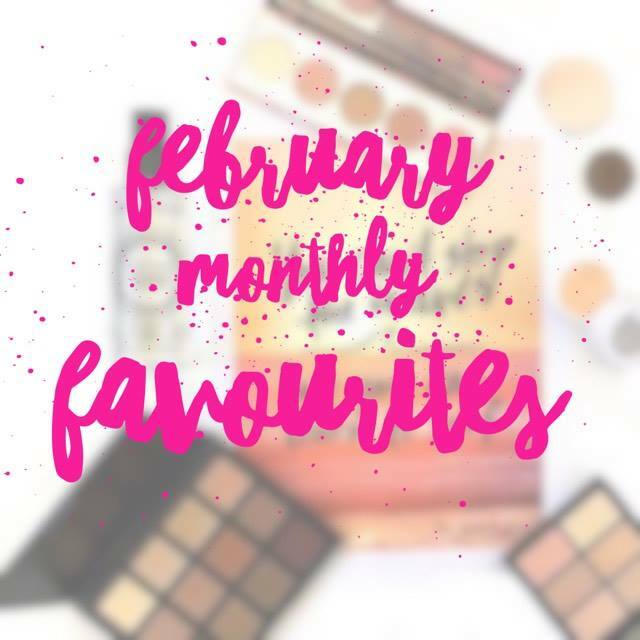 What have your favourite products been this month?